One of my favorite things about writing here at Work at Home Adventures is when I get the opportunity to interview and meet new entrepreneurs! I love sharing stories of self-starters with the readers because it is often true inspiration and gives all of us an insight and sometimes a model of how it has and can be done. Ron Ostlund Jr. Spent a couple of hours with me on Facebook and let me pick his brain. He shared with me a little about how his business began and a few of the trials he faced. 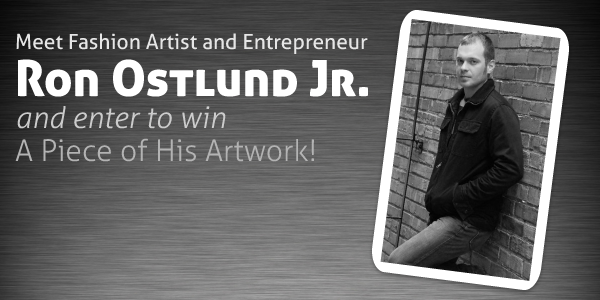 As a special bonus you will have the opportunity to win one of his pieces of artwork! Ron Ostlund Jr. is an artist. 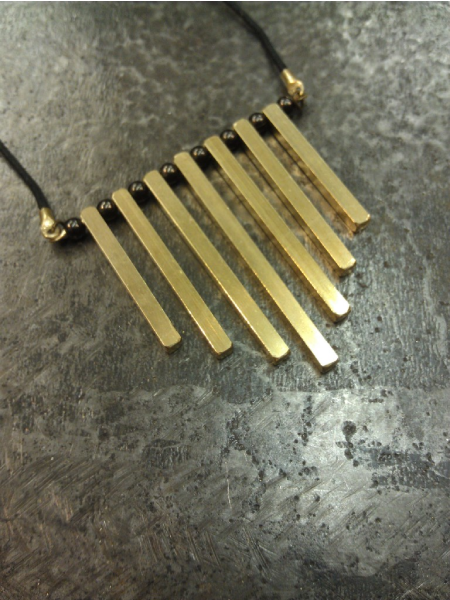 Ron uses found objects and metal to create fashion pieces- as in jewelry and home decor items. Although this is not currently Ron’s main source of income- don’t call it a hobby! As he told me, it is much more than a hobby. Ron grew up in poverty which as I see it, encouraged Ron to use his skill to create his own toys. He told me how as a child he would often take things apart and re-purpose them into new toys. I am sure the act of actually disassembling and recreating was how Ron entertained himself. When Ron was in his early twenties he had taken parts for old bicycles and made a clock. While showing his creation to some friends at iHop a stranger noticed the clock and asked how much Ron would want to sell it for. Ron said fifty bucks and the guy haggled him to forty. That was the moment Ron began his dream of actually turning his work into a business. He then created many more pieces and attempted to sell them but no one else was interested. Before he knew it everything was buried in a closet and sat for several years. Until a friend introduced him to Etsy in 2010. Etsy is a place where artists can post their handmade creations and sell them. This was a little kick that helped Ron dig his passion back out of the closet. Now you can find Ron Ostlund Jr. pieces in art galleries, in several boutiques in the Fort Wayne Indiana area. You can also find his work online at ostlund-custom-works.myshopify.com. To see his most recent pieces visit his Facebook page– if you fall in love with something just contact him to order! The way to your dreams will not always be down-stream. You may have to fight and struggle and push for it. But keep going! Ron said it best when he said “Consistent Persistence” is the key. Don’t give up- ever. Don’t even slow down! You will be faced with many naysayers- often from your own family and friends. But keep your eyes on your goals and make them happen! To see Ron’s process at work check out this great view into his world. Thank you Ron Ostlund Jr for taking the time to share your story and for allowing me to be a part of the amazing giveaway! Several of us blogging friends have come together to give away one of Ron’s beautiful and inspirational pieces! It is not just a necklace- this is a piece of artwork! For your chances to win this beautiful piece of artwork just fill out the required entries on the Rafflecopter form below (may need to follow the link if form is not loading)! If you’d like extra entries, there are plenty of chances to get those too! Share the giveaway, tell your friends, that way everyone has a chance to win! Win a Work Barefoot T-Shirt! Very nice pieces and nice to *meet* you, Ron. Enjoyed reading about your determination too. Fascinating story! I love hearing about entrepreneurs and how they got started. Very inspirational! That was an inspiring story of Ron. I love that piece of work, that’s really unique!